There’s a saying that everyone wants to live on top of the mountain, but happiness and growth occurs while you’re climbing it. PumpUp member Jennifer Z is a rock-climbing rockstar who radiates inspiration. She’s also a model, a swim coach and is training for American Ninja warrior! Read about her creative ways to stay active, her smoothie secrets, her battle with an endocrine disorder called PCOS, and her vegan lifestyle down below! Prior to PumpUp, Jennifer reveals that she lost a bit of enthusiasm for her climbing training and was dismayed that she wasn’t making any progress. “I couldn’t see my abs anymore because I had stopped running and weight training. I was still climbing and doing climbing-specific training, but I was neglecting parts of my body,” she laments. “I knew that my abs were still there, and wanted to be able to see them again!” She was climbing an average of 4 days a week, 2-3 hours per session, but was not supplementing that training with any other kinds of exercise besides finger-strength training. The PumpUp community absolutely admires the strength, tenacity, and dedication that Jennifer puts into her training. “I had never done a single squat until PumpUp came into my life. I thank this app for the awesome bum motivation. I love feeling strength in my body from head to toe,” she shares. Due to her busy school schedule, Jennifer currently climbs 2 days per week for 2-3 hours at a time and recently built a climbing wall in her house so that she can focus on training at home as well. “I also use a grip trainer in my car every day when I drive to and from school. 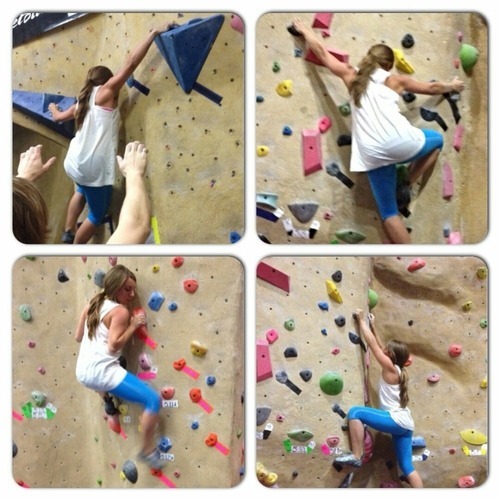 I am shocked at how quickly my climbing has progressed since I started my new routine,” she explains. This is for good reason, of course. Last month, Jennifer was placed into the highest competing category of climbers! 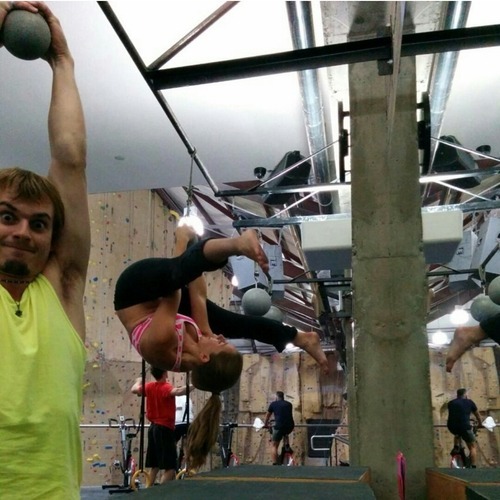 Jennifer finds creative ways to stay active outside of her climbing routine. Being a former sailboat racer, Jennifer enthusiastically took up windsurfing in stride. “I go to the Berkley Marina to windsurf with my best friend. Windsurfing is a killer full-body workout and is really good for grip strength. Windsurfing captured my heart.” She’s also started to practice parkour and calisthenics. “I am an absolute beginner at parkour and am mostly terrified, but I have found that adding tricks here and there make running MUCH more interesting,” she advises. One of her goals is to compete in a show called American Ninja Warrior next year. It makes good sense: rock climbers and traceurs often do best! Seven years ago, Jennifer experimented with veganism because she heard that it helped boost energy levels and she wanted to try it. To this day, she’s still a vegan! It has done wonders for her training performance and it melds very well with her lifestyle. “I never went back and don’t think I ever would. 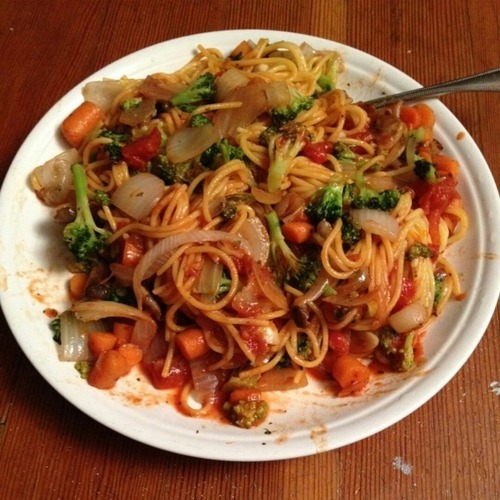 It’s amazing to be able to eat so much food, yet have a ton of energy all the time. I also am an animal lover and don’t want to support that industry,” she affirms. Jennifer prefers to remain active, rather than regulating the amount of food that she eats. “I’ve dabbled in the 80/10/10 and Raw Till 4 diet, which are raw or mostly raw vegan diets that are 80% carbs, 10% protein, and 10% fat. I think those diets are great, but they can be really difficult to maintain,” she elaborates. Jennifer’s recipe-making is just like her personality: fun and free-spirited. “My recipes are always created on the fly. 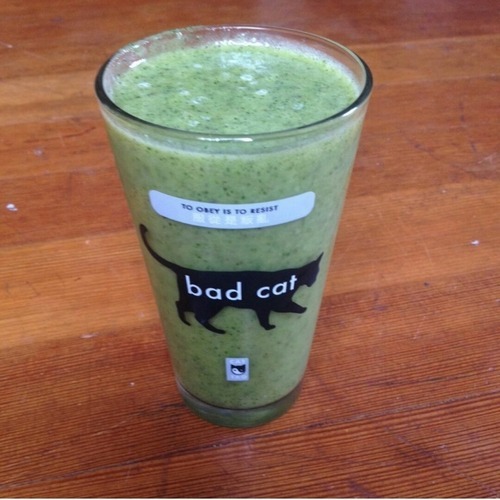 Mostly, I fill my blender halfway with kale and spinach, then I put either water or juice and fruit, and top it off with chia seeds,” she detailed when talking about her smoothies. She firmly discourages starvation, as it promotes otherwise unhealthy habits. “My main rule is that, as long as I’m eating healthy, I let myself eat as much as I want and never starve. Starvation can only be kept up for so long… a binge always results! I would rather eat in abundance. I attribute my ability to eat as much as I want to my healthy, vegan diet,” she tells us. Her best advice for fellow PumpUp members looking to lead a more active life is to find a sport or activity to fall in love with, then find friends within that community. “They don’t have to be the coolest or the most popular. Just make sure that whoever they are, they make you want to hang around them. If they don’t make you want to try hard, it’s time to find new friends,” she counsels. "It doesn’t matter how slow you go, you’re still lapping everyone on the couch." "I could not pick a favorite! I love the abs section and the lower body workouts, but I seriously love almost all of the workouts that PumpUp has come up with for me. That being said, I hate burpees and will avoid them like the plague!" "My daily routine is quite the grind. I go to school 45 minutes away from home 4 days per week, and I work 3 different jobs 5 days per week! I am currently studying Psychology and Social Action, which I absolutely love! There is so much homework, though, because I’m going full-time, and I often go to bed waaay later than I should. For my first job, I am employed at an actuarial office and do lots of boring math. My second job is more fun, as I teach swimming to kids aged 2-months (water babies!!) all the way up to a pre-competitive class of 8-10 years olds. Lastly, I do lots of modeling and just recently did my first band merchandise photoshoot. My modeling work has been featured in 2 books and 4 galleries in San Francisco." "I have never had a glass of milk and I have never had a cup of coffee! I plan to keep it that way." Follow Jennifer on PumpUp @pawsha and on Instagram and on YouTube @jaz.143 to cheer her along her journey!